The samurai of Japan create a persona of strength, courage and honor. 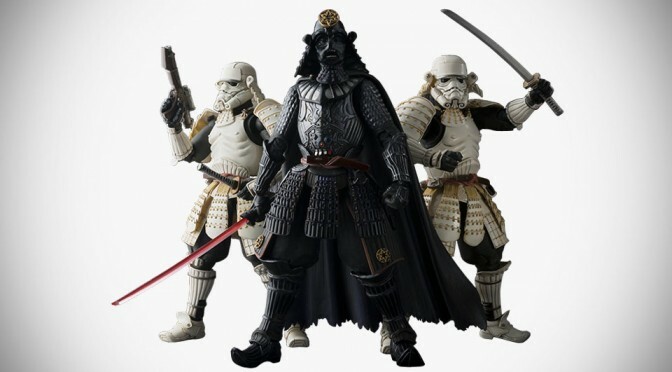 He we see a figure of Darth Vader with the influence of these ancient warriors. Created by Bandai a Japanese toy manufacturer, this action figure really creates an inspirational image. Marvel is another one of the big hitters at the cinema with numerous feature films over the last 10 years all being box office hits. Stan Lee the creator of Marvel has even spoken of his desire to see a Star Wars Marvel cross over (to mixed reactions). Amongst one of Marvels big hitters when it comes to their characters is Iron Man, the billionaire super hero and one of the key members of the Avengers. Here we see a graphic representation of Iron Man crossed with Iron Man creating a great looking modern super villain. 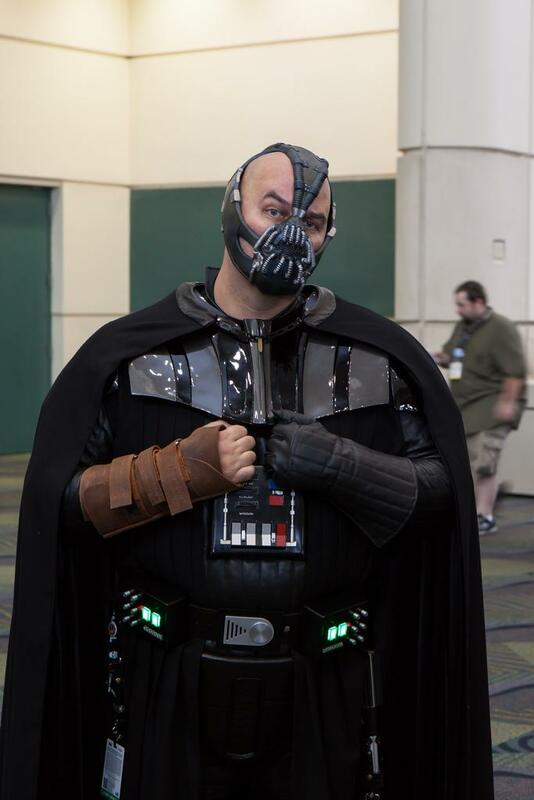 DC is a the main comic book rivals of Marvel, here we see a cosplay of Darth Vader crossed with Bane the villain from DC`s Batman. 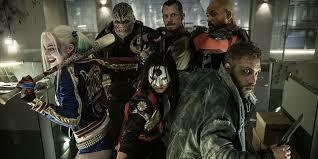 As with Darth Vader, Bane is also a notorious character who has difficulty breathing. The pair combined also creates a villain similar to another Sith lord from Star Wars the old republic, Darth Malgus. Darth Vader as a female, now that is scary. 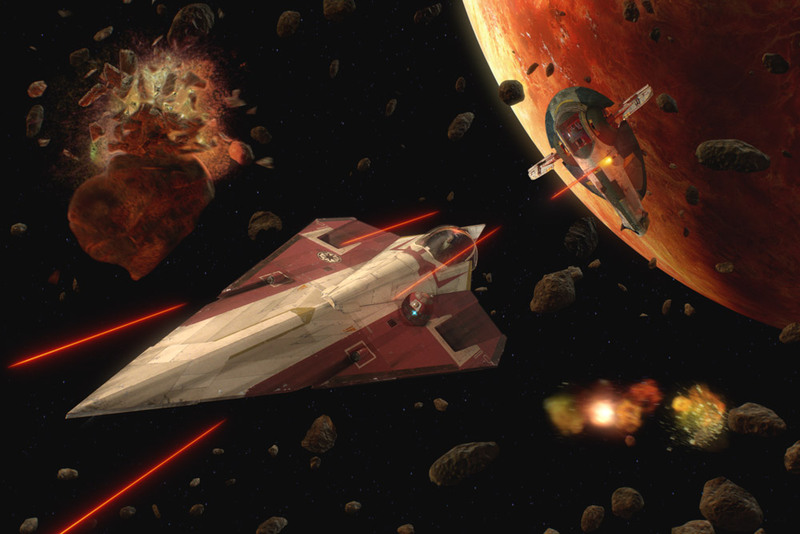 Star Wars has many female sith`s popular ones include Darth Talon, Darth Zannah and Asajj Ventress amongst many others. At convections all around the would you will see lots of women paying tribute to the Dark lord of the sith, here you can see a female cos player dressed as Darth Vader. 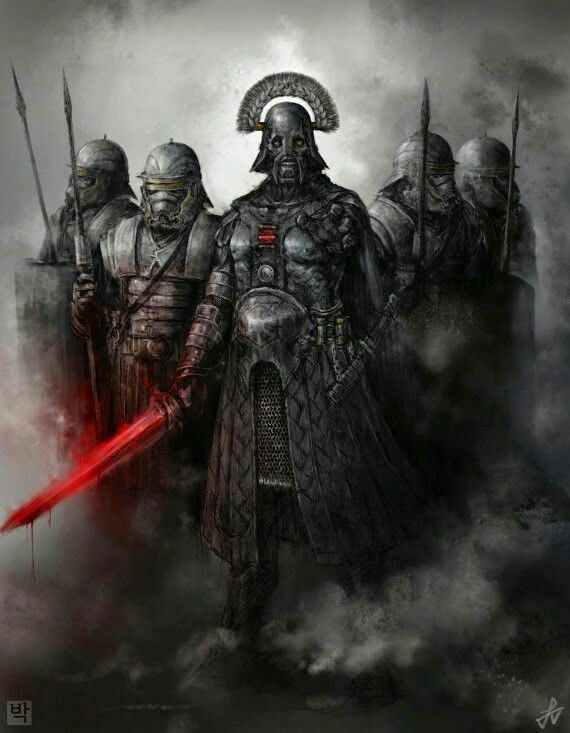 From the prequels the senate elite guards(who would later evolve into the Emperor`s red guards) have a large feel from the era of the Roman empire, here we can see a Darth Vader with a heavy influence of a Centurion from ancient Rome. 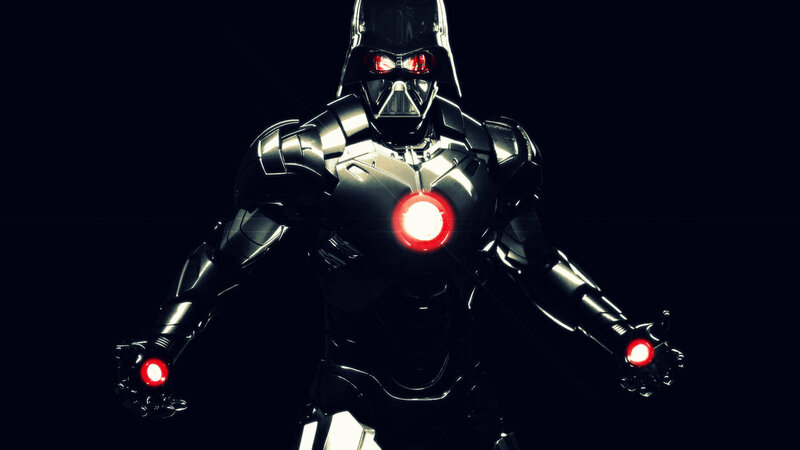 Warhammer is another popular universe, here we see Darth Vader crossed with Space Marine Primarchs to create a totally kick as incarnation of the Emperor�s number 2.